Eco Baby Mama Drama: I want your opinions! ~Giveaway~and Who am I anyway?! I want your opinions! ~Giveaway~and Who am I anyway?! I am just getting started on my own as a blogger (if you know me you know I have been a contributor before!) and I want to know what YOU want to see! What do you like in your blog reading? Obviously I know you want to see reviews and giveaways, but is there any specific companies or products you are interested in? Is there anything you DON'T like to see? Keeping in mind I won't be able to make everyone happy all the time but I do value your opinion(s)! A little bit about me, I am a thirty two year old stay at home mama to two wonderful boys, T-Bone is 12 years old and Tater Tot is 14 months old and I am married to my best friend. I started trying to be more 'green' when my niece was diagnosed with cancer not long before I got pregnant with Tatie (you will find that I have tons of nicknames for my boys rarely if ever call them by their actual names!) and found out how many of my daily activities were horrible for the environment and my family. I am a cloth diapering babywearing breast feeding (not any longer with Tates) mama that would love to talk about anything 'green' anytime! I love watching football (Go Bears!) and relaxing with my boys. I also love to cook and bake and I like doing laundry-not just fluff laundry but all laundry, strange I know! Ok, on to the giveaway!! This giveaway is for a striped wet bag that is 13" by 17" and has a fleece patch inside (if you use scenting oils) and has a hanging strap. It can easily hold a days worth of cloth diapers or be used in the kitchen if you use unpaper towels (I REALLY want to start doing that!). MANDATORY ENTRY: you must follow my blog publicly via gfc! This counts as ONE entry and must be completed before all other entries! 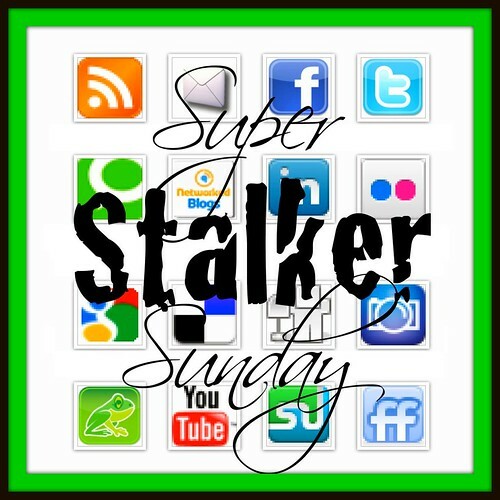 **Unlimited entries for suggestions on what you do and do not want to see on the blog! I would LOVE to find some good, wholesome recipes that even picky kids will enjoy! I like green cleaning tips! Healthy/organic eating tips are great too!! Anything related to cloth diapering!! Gentle parenting techniques!! I have rowdy 3 year old!! I am a fan of yours on facebook, purplebabybrigade. Also, just wanted to share a bit of a tip I recently received, and that is maybe change the setting on how a person leaves a comment, and remove the captcha. You know I follow you via GFC.. I think I was #1, well other than yourself! I subscribe to eco mail. I subscribed to eco mail. I'm interested in reviews of reusable snack bags and sandwich bags. They're a new concept to me. Also interested in reading about your experience cloth diapering: more so about mistakes you made and how you fixed them. Also, what are some things that you would or would not do again? 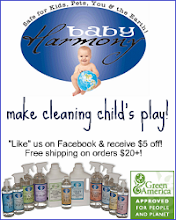 I follow you on GFC "Elisabeth"
I follow you on FB "Elisabeth Patterson"
I would like to see some reviews and giveaways for organic soaps and shampoos, anything for babies and kids, etc. I would love to see some products and giveaways of organic makeup. I don't know what's out there, but I know traditional makeup is horrible for you and filled with synthetic chemicals. :( very scary stuff! would love to see some posts on how to save money on eco friendly products or some tried and true recipes for eco friendly products! 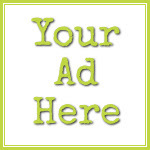 I like/follow you on FB (Trisha Ann Grimes)! i want to see cloth diaper friendly detergent reviews! i want to see info about potty training! i want to see reviews on reusable snack bags, etc. I'd like to see eco friendly products for the average family! 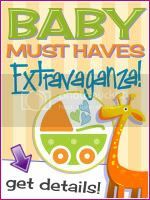 i'd love to see more giveaways of baby products! I follow on FB as Angela Mok. I'd love to hear about your cloth diaper experience. What's your favorite diaper? your favorite place to get them? what's your laundry routine? thing's i'd like to see talked about. You said you babywear, what kind of carrier do u use? does it work for you? 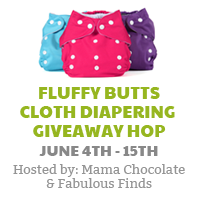 I would love to see some cloth diaper reviews and giveaways on this blog, as I am new to cloth diapering I can use all the insight I can get! I'd love to see some reviews/giveaways for cloth diapering safe laundry detergent, there are so many out there that I have a hard time knowing what is best! i love to see anything about cloth diapers on blogs! Oh, I'm interested in babywearing info and reviews too - specifically wraps! I would love to read about peaceful parenting techniques for a young toddler (1+). I would love to read about cheap/free activities to do with young toddlers. I'd love to see more ways about being more eco-friendly in the home. Things like using old cotton t-shirts as non-paper towels or household items (e.g. vinegar) that can be used for cleaning and getting out stains. I would love to see your reviews and giveaways on baby stuff and anything to make our lives easier :) we trust ya! I follow you via GFC (mdh0115. I would love to see some healthy recipes... it's so hard to find the time to find new recipes that everyone in my family will eat. Reviews on different diapers... I recently just started using cloth diapers and still trying to figure out which ones I like and to find out information on different ones. Another suggestion I saw on another blog that i liked was highlighting a wahm. You could do an interview, that way your readers get a glimpse into her life. Something else I thought of, because it's in your "name," is sharing how you are "eco." I'm guessing that means economical. How do you save? Maybe you can share your "secrets." hehe. Why I couldn't sleep last night! Design By -- Busy Brandi Design. Powered by Blogger.